A business located in Sapulpa can reach half of the U.S. with same-day or overnight transport service. Even if you've never imagined you or your business locating in Oklahoma, we invite you to check out some of the information below. The business climate in Sapulpa, Oklahoma may surprise you. Prime location, vital logistics, less taxation and better incentives all combine to connect Sapulpa businesses with real opportunities. The city is characterized by an open attitude toward quality development. Immediately adjacent to Tulsa, Sapulpa offers the advantages of a portal city for traffic approaching Tulsa from either the southwest or the west. 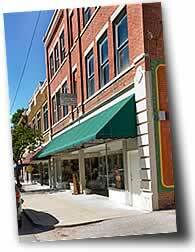 Sapulpa boasts a beautiful, nationally recognized central downtown district. The entire downtown area is a free wi-fi hotspot and features outdoor seating and cafes in addition to an eclectic mix of thriving businesses. Downtown wi-fi access makes the second and third stories of downtown buildings ideal start-up locations for small offices or professional businesses. Oklahoma offers numerous incentives and programs to encourage development, and has been consistently ranked as a business-friendly state by leading research firms. In fact, a 2006 study by Pollina Corporate Real Estate ranked Oklahoma's economic development services third in the nation and ranked the state in the Top 15 Pro-Business states overall. Sapulpa, part of the Tulsa Metropolitan Area, is centrally located less than 4 hours from the geographic center of the 48 states and less than 3 hours from the population center of the United States. A business located here can reach half of the US with same-day or overnight motor transport service, and the entire nation with next-day service. Most population growth in the US is occurring in the South and West, meaning locating in Oklahoma makes sense for the long-term. International air service via the Tulsa International Airport - only 20 minutes from downtown Sapulpa, and 15 minutes from the northern business areas of Sapulpa. Water transport through the Tulsa Port of Catoosa, 25 minutes away. 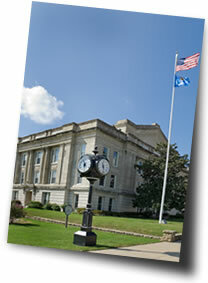 The Port serves as the head of navigation for the McClellan-Kerr Arkansas River Navigation system. The Port offers companies ocean access and year-round ice-free barge service. More than 2.2 million tons of cargo move through the Port each year by barge, rail and truck. Note: The Tulsa metro area earned a “5-Star” rating in Expansion Managements 2004 Logistics Quotient™ report. Oklahoma ranks 42nd in the nation in its per capita state and local tax burden. Put another way, the average Oklahoman pays $627 less in total state and local taxes in a year than the national average. Oklahoma's per capita corporate income taxes are 5th lowest in the nation. Oklahoma's overall cost-of-doing-business was ranked 10th lowest in the nation by the Milken Institute in its 2007 index. Sapulpa believes in judicious application of incentives to encourage growth the city. We don't take a cookie-cutter approach to incentive packages or to development in general. However, we do have a comprehensive array of economic development tools ready to be applied to the right project. Choose one, some, or all of the topics below and click “show info” to see more specific information pertaining to the business climate in Sapulpa. Your chosen topics will open in a new window and will display the selected data in a format convenient for e-mailing, printing, or viewing. When you're finished reviewing the data, simply close the window and you'll be returned to this page.